Beijing time November 26th, there is a message shocking the whole advertising industry. Firstly let us understand about company merge. The company merger can take the form of absorption merger and new merger. A company absorbs other companies to absorb the merger, and the absorbed company is dissolved. Two or more companies merged to form a new company for the new merger, and the parties to the merger were dissolved. In the case of a company merger, the parties to the merger shall enter into a merger agreement and prepare a balance sheet and a list of assets. The company shall notify the creditors within 10 days from the date of the merger resolution and publish it at least three times in the newspaper within 30 days. On the evening of November 26th, the advertising communication giant WPP officially announced that it would merge its traditional advertising company J. Walter Thompson and digital marketing company Wunderman to form a new company, Wunderman Thompson. WPP stressed in its statement that the new company will have a unique position of “end-to-end solution provider” to serve customers globally through creative, data, commercial, consulting and technical services. 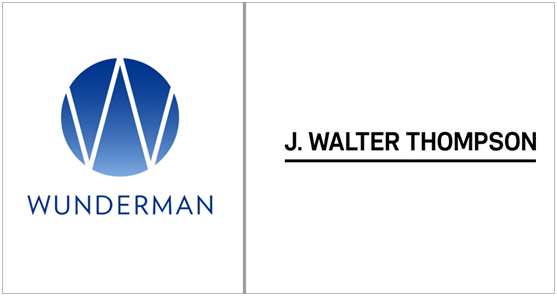 JWT will share many core customers with Wunderman. As technology reshapes marketing, Wunderman Thompson will also leverage close and long-term relationships with Adobe, Amazon, Google, IBM, Microsoft, Salesforce and SAP. The new company, Wunderman Thompson, will be based in JWT’s office on Lexington Avenue in Manhattan and will have more than 20,000 employees in 90 markets worldwide. Weimen’s global CEO Mel Edwards and JWT’s CEO Tamara Ingram will be the CEO and chairman of the new company respectively. This news has made many traditional advertisers feel chill. “The disappearance of JWT is a metaphor for the demise of Madison Avenue”. Avi Dan, the CEO of agency consulting firm Avidan Strategies, said. Known as “the world’s most well-known marketing communication brand,” JWT, with 154 years of history, is the first advertising company in the United States. Its predecessor was Carlton & Smith, born in 1864, and was absorbed by James Walter Thompson in 1878 and renamed J. Walter Thompson Co. In 1987, WPP Group acquired JWT for $566 million. Founded in 1958, Wuderman was the first direct sales agency to expand into brand strategy, consulting, e-commerce and, most importantly, data analysis. This company is also a member of the WPP Group. Mark Read, the new CEO of WPP Group, was also the CEO of Wuderman. The merger of the two companies is already the second major institutional adjustment since the new boss took office at the end of August: On the evening of September 26th, Beijing time, WPP issued a statement to its Y&R. Merged with VML to form a new brand experience agent VMLY&R. “Although they are positioned as equal mergers, they are basically taken over by digital agents,” Avi Dan said. Like JWT and Wuderman, Y&R and VML are also a combination of “traditional advertising companies and digital marketing companies”.